Saturday, March 26 at 8:30 is Earth hour. In light (pun intended) of recent events in Japan, I think it's a good way to allow the planet a little time to recharge and allows you to think about your impact on this planet. I do my best to recycle and reduce my use of plastic and other contaminants but I know I don't do as much as I could. So tomorrow night I plan on relaxing to the glow of candlelight. 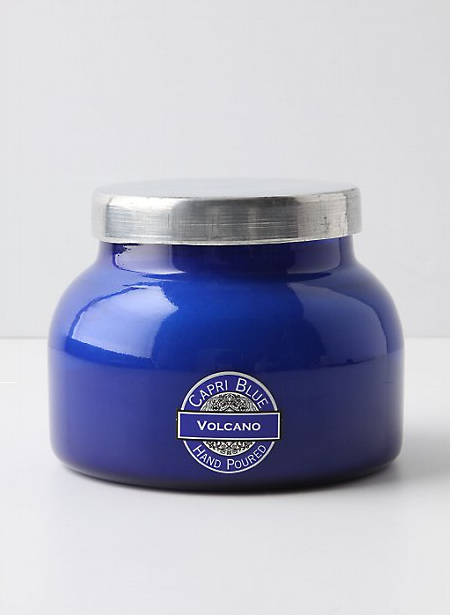 My favorite candle ever is the Capri Blue volcano candle. I get mine at Anthropologie but have seen it elsewhere in random places. It's amazing, trust me. It's an exotic fruity smell in a beautiful recycled cobalt blue container (also comes in some other colors but blue is my fave). If you want some tunes to go along with your relaxing evening, try something jazzy. My three favorites are: Madeleine Peyroux, Keren Ann and Melody Gardot.